Did you know that the Word Hypertension League or WHL has named May 17th as World Hypertension Day? This just goes to prove how widespread this condition is. 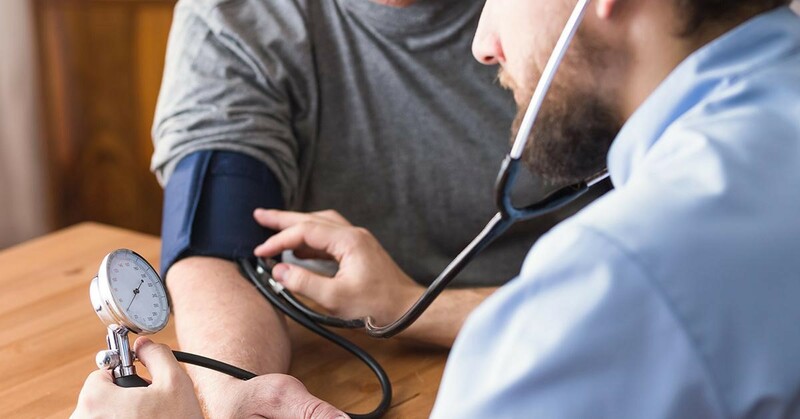 Let’s look at the statistics - as per the fact sheet put together by the Centers for Disease Control and Prevention, 75 million adults in the United States alone, suffer from hypertension! That is quite a large number considering it corresponds to 32 percent of adults in the country. Hypertension is the technical parlance for high blood pressure. Normally, a person’s blood pressure fluctuates between high and low levels during the day. However, if it remains constantly high, it can harm blood vessels and lead to several other severe conditions like atherosclerosis. Garlic – Garlic is a pungent smelling relative of the onion which can be used to add flavor to most dishes. Allicin, an important compound present in garlic has antioxidant and blood pressure controlling properties that can be beneficial for hypertensive individuals. Celery – Commonly used in salads and healthy snacks is a fantastic natural remedy for alleviating increased blood pressure. Green Tea – This highly popular superfood is not gaining points for no reason. Amongst the many benefits of drinking green tea, regulating blood pressure is on the top of the list. Virginia Dayflower – A commonly found plant in the southeastern region of the United States, Virginia dayflower, and its extracts have proven to be effective in reducing the level of blood pressure. Carrots – It is a well-known fact that this gorgeous red vegetable can add the much-needed nutrition and fiber to your diet, but, few know that it can have a potent blood-pressure-reducing effect on the body too. Basil – An herb that adds a dash of yummy flavor to your pesto, basil is also known to help those suffering from hypertension by controlling blood pressure levels. Pomegranate – The red beads of the pomegranate fruit are not just delicious they are also a boon for people who need to keep their blood pressure in check. Radish – This is another carrot-like vegetable that provides nutrition and fiber. It has also shown great potential in mediating hypertension. Sesame – Those nutty-flavored seeds on your burger buns are in fact quite potent when it comes to fighting hypertension. Make sure to add these to your salads, dips etc. and enjoy the benefits. Cocoa – What better way to fight a medical condition than indulging in some chocolate therapy? Dark or milk chocolate, both can help brings back elevated blood pressure to normal levels. If you have suffered from the debilitating effects of heightened blood pressure for long, give these natural foods a shot. They will not just help you control your hypertension but also make for a yummy snack.